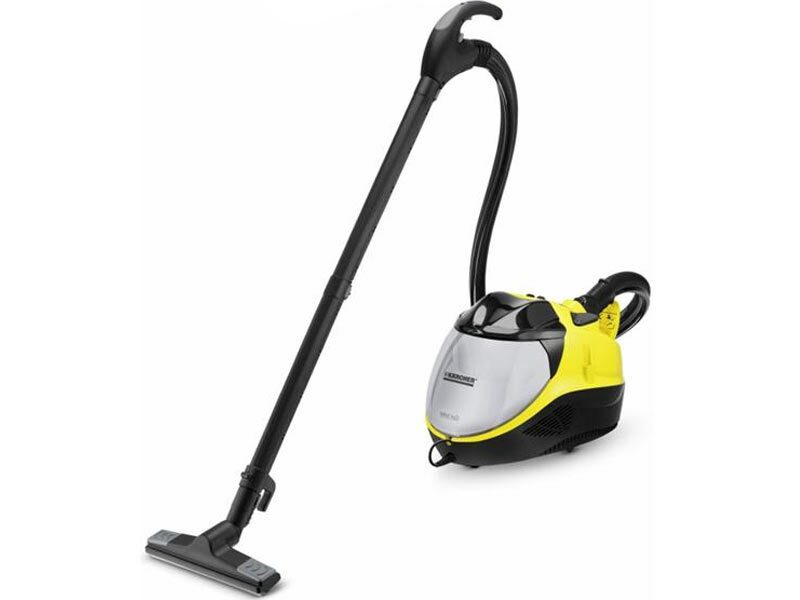 The Kärcher SV 7 steam vacuum cleaner combines the advantages of steam cleaners with the power of dry vacuum cleaners. For example, it picks up crumbs, wipes wet and subsequently dries floors, all in one easy procedure. These impressive all-round devices and matching accessories can clean any home easily, conveniently, quickly and without chemicals. -The suction power can be controlled on the handle and the steam flow regulated on the device. -The suction power can be individually adjusted to the surface and dirt. -The steam volume can be individually adjusted to the surface and dirt. -The tank can be refilled quickly and easily for non-stop use. -Optimal cable storage for space-saving device storage. -Locks the steam function to protect against improper use. -The multifunction device with extensive accessories is ideal for use around the home without the use of chemicals. Please make sure you are Logged in to write a review.